Love pancakes for breakfast, lunch or dinner? Here’s a recipe with good carbs to energize your workout or help you recover. In a large bowl, blend sorghum flour, oats and baking powder together. In separate bowl mix eggs, milk, water, syrup and apple cider vinegar together. Add liquid ingredients to dry. Mix until just blended. 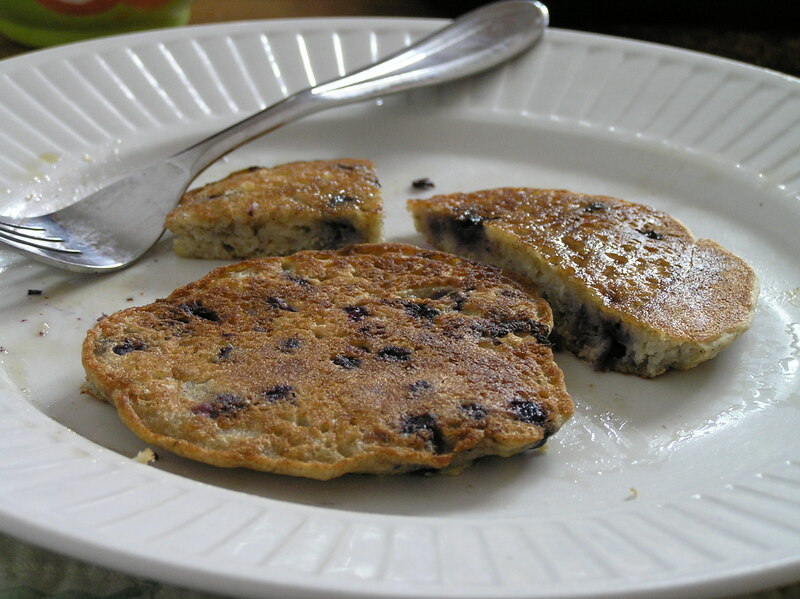 Add banana and blueberries and lightly blend. If using frozen blueberries do not defrost. Cook on griddle or pan.